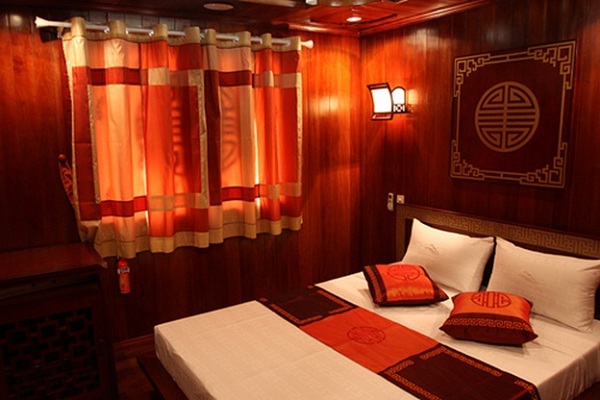 Phoenix Cruise Halong Bay is a wooden junk that combines classic beauty with modern comfort. The cruise was based on an exotic oriental junk, model of the old Vietnamese court vessels with sails, a wide transom, rectangular super structure and modern facilities. This cruise features three different junks of varying capacity: 12 cabins, 14 cabins and 16 cabins, promising to meet the expectations of even the most demanding customers. Phoenix Cruise Halong Bay launched its first junk boat in 2009. Their second cruise started its career in 2011. Then they launched their high-end Halong Phoenix Luxury cruises in early summer 2013 & in this end of January 2014 their brand new Halong Phoenix Cruiser. All cabins on Phoenix Cruise Halong Bay are air-conditioned and have windows overlooking Halong bay. The restaurant of the junk will serve customers beautiful feasts and tasty fresh seafood. Located in the head of the junk, this luxurious restaurant is designed to serve 40 customers with separate tables and chair carved with precious wood. 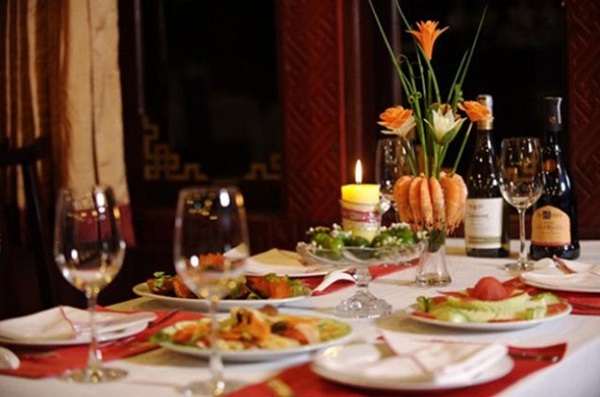 Customers will be served with delicious food as well as romantic sightseeing in the bay cuisines offered on board with topics: traditional Vietnamese cuisines. Meals on the Phoenix Luxury reflect the traditional Vietnamese cuisine and seasonal fresh seafood that the bay has to offer. On the top deck, travelers will find an open sitting area and sun deck with breathtaking views. This is the ideal place from which to soak up the atmosphere of the bay. Moreover, the two and three days itineraries offer excellent sightseeing and wonderful adventures. You can enjoy boating and kayaking with the facilities provided by the cruise. In addition, you can enjoy dancing with the pleasurable background music which constantly entertains the people in the cruise. The great mix of activities offered by the cruise is very suitable for all kinds of people to enjoy. 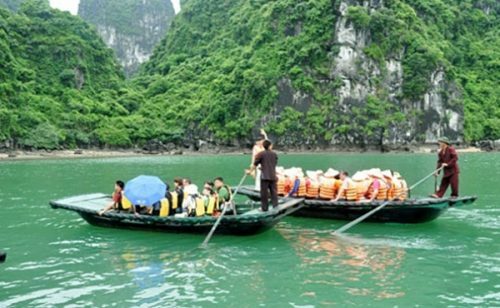 The Phoenix Cruise Halong Bay is the best for small families, small group of friends and couples as well.